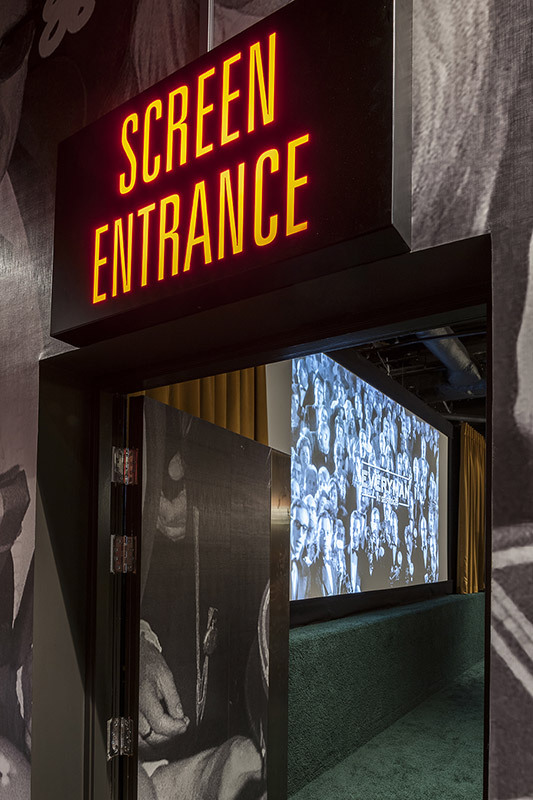 into are the ongoing lighting design consultants to Everyman Cinema, and recently completed the lighting scheme at the Pop-Up now open inside Selfridges on Oxford St. It is a seventy five seat cinema and the world’s first inside a department store. 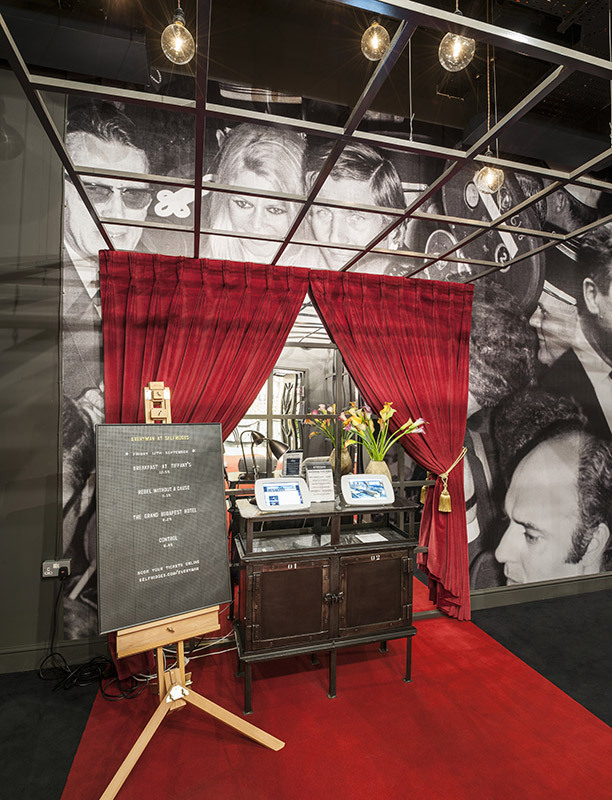 Working in collaboration with Fusion Design & Architecture the designs needed to fit the Everyman quirky aesthetic. 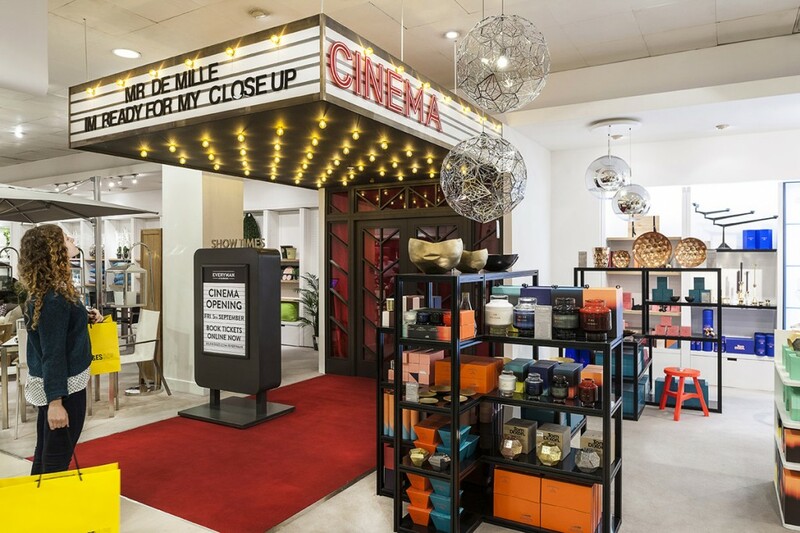 At the entrance to the cinema from the Selfridges shop floor into specified Xenon festoon lighting to create an eccentric entrance and to draw the eye to the Pop-Up. The design and manufacture of bespoke wall lights in collaboration with Fusion resulted in curved antique brass finished fittings with twin 7W LED light sources. These line the walls in the cinema space itself. 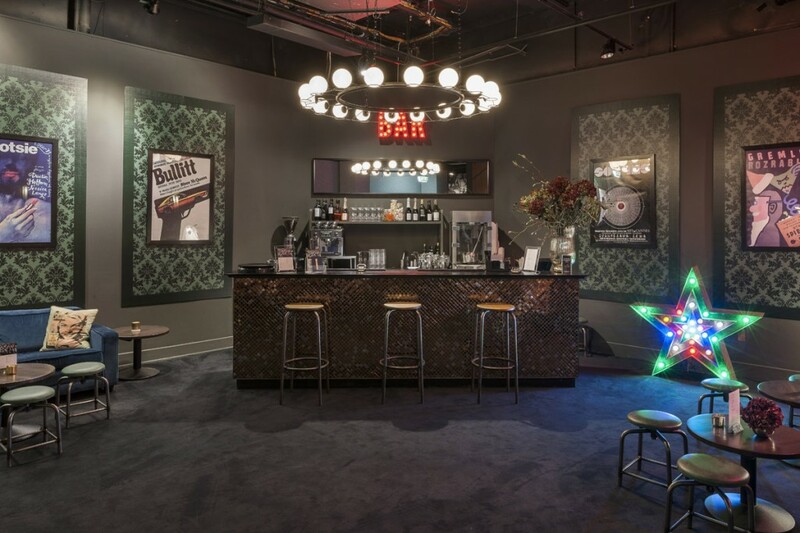 Elsewhere carefully placed surface mounted spotlights provide cinema and general lighting, and work well with other chosen feature pieces in the bar and entrance areas. 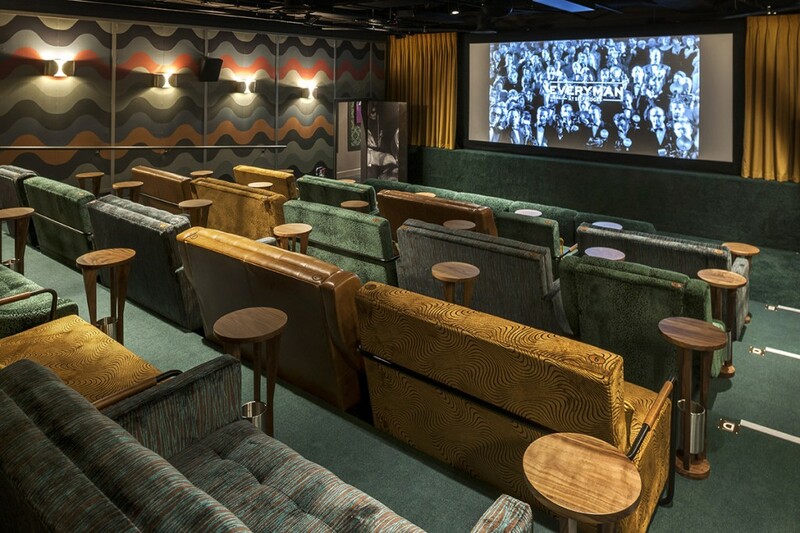 The lighting design and specification at the Everyman Cinema Pop-Up ties in well with the work into currently does on the rest of the Everyman brand: quirky, distinctive and bespoke.